​​Tet., Semievergreen, Mid season, 37" scapes, 7.5" blooms, 5-way branching, 26 bud count. Slug a Bug Yellow is a bright spot in my garden. It's blooms are huge often measuring larger than the 7.5" registered. 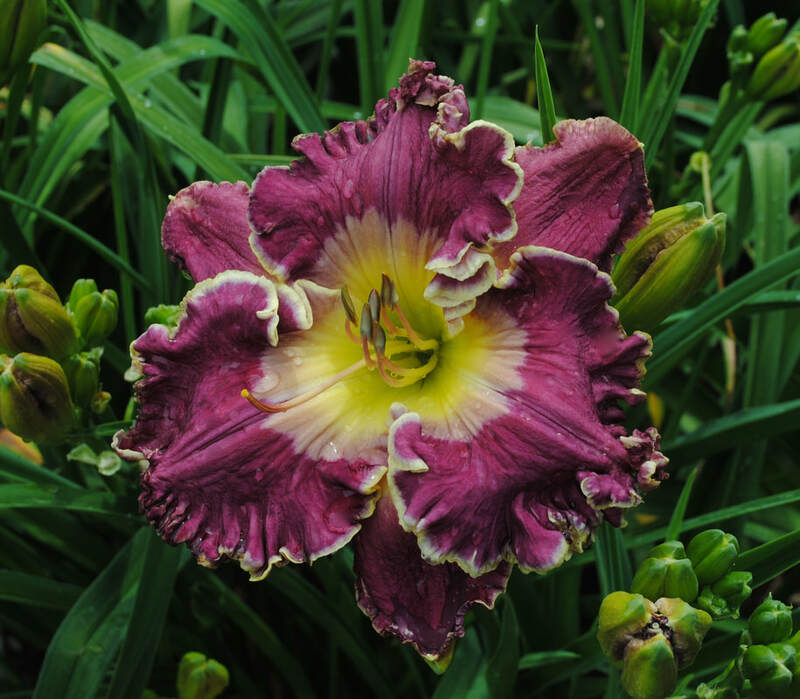 Great branching and bud count make this daylily a great parent. She's a favorite of mine. Tet., Semievergreen, Mid season, 30" scapes, 6.5" blooms, 4-way branching, 24 bud count. Skipping With Sparklers is a gorgeous medium plum purple with a striking watermark. It has a double wire edge of gold and the same watermark coloring. She shows off a bit in July making a big punch in my garden!